This was SDN's first exhibition. 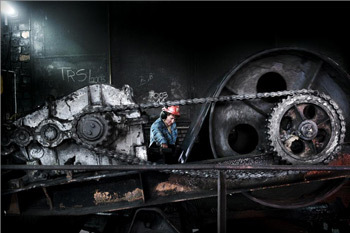 The work came from a call for entries on the global recession. The exhibit premiered at powerHouse Arena in February 2010 and eventually went on to the Gage Gallery at Roosevelt University in Chicago; the Salt Center for Documentary Studies in Portland, Maine; and the Photographic Resource Center in Boston. "The quality of the work is excellent and I cannot express strongly enough what SDN has accomplished. This site is a testament against anyone who echoes that photojournalism is dying or dead. Tell them to just look here! Bravo and I am humbled and honored to be a small part of this." Specializing in press photography, Tomasz Tomaszewski has had his photos published in the world's major magazines appearing in several dozen countries: Stern, Paris Mach, Geo, New York Times, Time, US News & World Report, and numerous others. He has also authored a number of books - including Remnants, The Last Jews of Poland; Gypsies, The Last Once; In Search of America; and has co-illustrated over a dozen collective works. His numerous individual exhibitions have been held in the U.S., Canada, Israel, Japan, Madagascar, the Netherlands, Germany, France, Italy and Poland. He is the winner of Polish and international awards for photography. For over twenty years, he has been a regular contributor to National Geographic Magazine, where 18 of his photo essays have been published. Tomaszewski teaches photography in Poland, the U.S., Germany, and Italy. This series of photographs, Hades ?, was taken from March through August 2009. Tomaszewski's pays homage to people performing hard manual labor, the workers who once were very proud of their positions and are now losing their jobs due to changes in the global economy from the recession. Tomaszewski chose Upper Silesia, Poland, where the work ethos, traditions, and related customs are most alive and colorful. In recent years, half of the existing coal mines in this region were shut down, as well as 70% of the heavy industry. Very little is done by the state to help those who have lost their jobs. "It's a sad tale told with clarity, visual intelligence and emotion." Shiho Fukada is a freelance photographer based in Beijing. She is a native of Tokyo with a degree in English literature, and worked in the fashion and advertising industries in New York before becoming a photojournalist in 2004. Her work has been featured in numerous publications internationally. She moved to Beijing in February 2009. Once a thriving day laborer's town in Osaka, Kamagasaki today is home to about 25,000 mainly elderly day laborers, with an estimated 1,300 who are homeless. It used to be called a "laborer's town" but now it's called a "welfare town," a dumping ground of old men. Alcoholism, poverty, street death, suicide, TB and most of all, loneliness, prevail here. These men don't have family ties and live and die alone as social outcasts from the mainstream "salary man" culture. Labor towns, like Kamagasaki, are on the verge of extinction in Japan. According to the most recent government report, Japan's economy, the world's second largest, is deteriorating at its worst pace since the oil crisis of the 1970s, setting off more unemployment among the young and educated and layoffs among large corporations. It is even more hopeless for graying men of the construction industry here to find work. "[These are] very beautiful images that bring us to a place most of us will never see, while addressing many of the issues we are looking at for this contest." 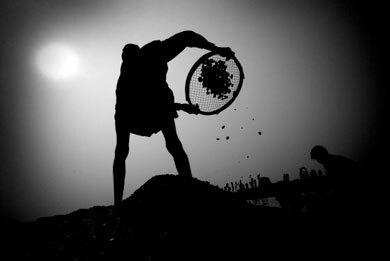 Born in 1981, Khaled Hasan began his career as a photographer in 2001. He is a graduate of the South Asian Institute of Photography. His goals have always been to document a culture with his photographs and to be a messenger of the community. He works as a freelance photographer and has been published in Sunday Times Magazine, American Photo, National Geographic Society, Better Photography, Saudi Aramco World Magazine and others. His awards include the 2008 All Roads Photography Program of National Geographic Society; Alexia Foundation Student Award (Award of Excellence); 2009, Grand Prix winner of "Europe and Asia - Dialogue of Cultures" organized by Museum of Photography (Russia); Mark Grosset Documentary Prize 2009 exhibited in Les Promenades Photographiques Festival 2009 in France, and others. His photographs have also been exhibited widely around the world. According to Hasan, "Photography has the visual power to educate by allowing us to enter the lives and experiences of others. Through photography, I hope to help the society to empathize with people affected by adverse social, political, and environmental conditions." This story is about a hard working community of Jaflong located on the northeastern part of Bangladesh. At dawn every day, more than a hundred little boats with laborers enter the Piyain River, buckets and spades in hand. This is one trade which has a geological limit. The stones that tumble down the riverbed from India are decreasing in volume and the laborers are already taking the risk of invading the no-man's land along the Indo-Bangla border, a contested area between Bangladesh and India. Many laborers were killed by Indian Border Security Force in that area. More than 5,000 men, women and child stone-laborers are engaged here. Uncontrolled and unstoppable, stone extracting and crushing at Jaflong has been posing a serious threat to public health, and to the environment and agriculture in the area. 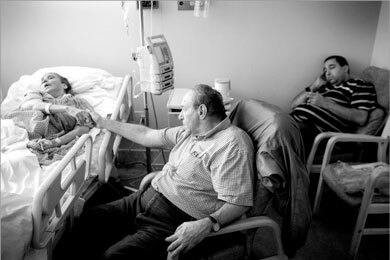 "A very touching, memorable story that brings the issue of healthcare and the impact of the recession to the forefront." 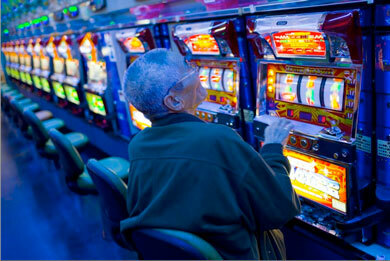 Michael F. McElroy is a contract photojournalist based in Miami, FL and represented by Zuma and Wonderful Machine. His work encompasses news, portraits, documentary and urban landscapes. McElroy spent 2008 covering the presidential elections and in 2009 he has been working on stories about the economic crisis and how it affects people and the American landscape. His work has been published in The New York Times, The Wall Street Journal, The LA Times, Monocle, Wallpaper, Revue,The Guardian, Associated Press, Black Enterprise, Ad Week, Esquire, Zoo Weekly and other national and international magazines. His awards include Pictures of the Year, Ernest Haas Awards, American Photo, Society for News Design Annual Creative Competition, Editor & Publisher, Communication Arts Photo Annual, and Atlanta Photojournalism. McElroy's winning exhibit, An American Nightmare, focuses on the problem of affordable healthcare in the U.S. and loss of dignity. Across the country more and more people are falling through the cracks, losing their homes, jobs, and healthcare. There was a time when we believed in the American dream and the pursuit of a better life. Unfortunately that dream has become a nightmare for countless families who have seen everything they've worked so hard for slowly slip away. Howard Mallinger is one of those Americans whose dream has been shattered. This is his story. SDN also awarded two People's Choice Awards to recognize the two exhibits that received the most number of visits. Lisa Russel, 20, and other teens hang out on the street corners in Glouster, OH. Photo by Matt Eich. 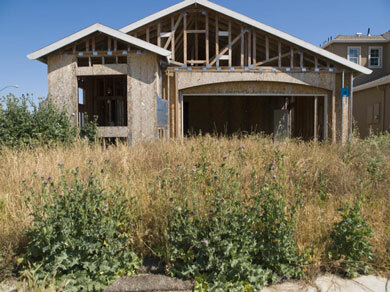 Weeds grow in a failed and abandoned housing development in Merced, California, United States. Photo by David Wells.